The handy 500ML bottle that is filled with 100% natural olive oil. Our Greek oil is namely free from additives, not mixed with others oils, unfiltered, organic and cold-pressed. The classic! When the light catches the beautiful color of this green bottle another dimension is added to your tasting sensation. We love putting it on the table where the bottle makes his round on the table. Good oil brings good people together, ey! Our Greek olive oil is an honest family product. We produce it on our own land on the mountains of Crete. The harvesting and pressing are done with our own hands: the most authentic way there is. Because of this, we can guarantee extra virgin olive oil from the highest quality. Fun fact: this bottle is already being made while we are plucking the olives from the trees in Crete. This happens in Eastern Europe. 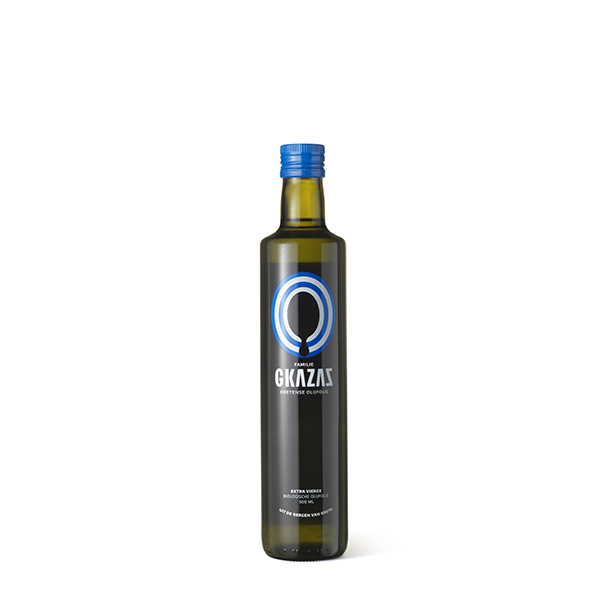 Whilst the extra virgin olive oil is self-filtering, the bottles are brought to the Netherlands. There they wait until our new harvest of organic olive oil arrives. A typical Greek product!